There are tons of fun and romantic things to do at the theme parks on Valentines Day like Disney, Universal or SeaWorld, make a day of it! You can watch chocolate being made on site at Peterbrooke Chocolatier along with shopping and a bevy of restaurants to choose from. Experience the Orlando Eye, Madame Tussauds wax museum or Sea Life Aquarium. Enjoy all the specialty shops, restaurants and activities at Disney Springs. There are plenty of great dining choices on restaurant row, get ready to eat well! Those are just a few ideas that can help you to enjoy your Valentines Day in Orlando! Enjoy! Universal Orlando will be hosting the "Celebration of Harry Potter" starting on January 26-28th. 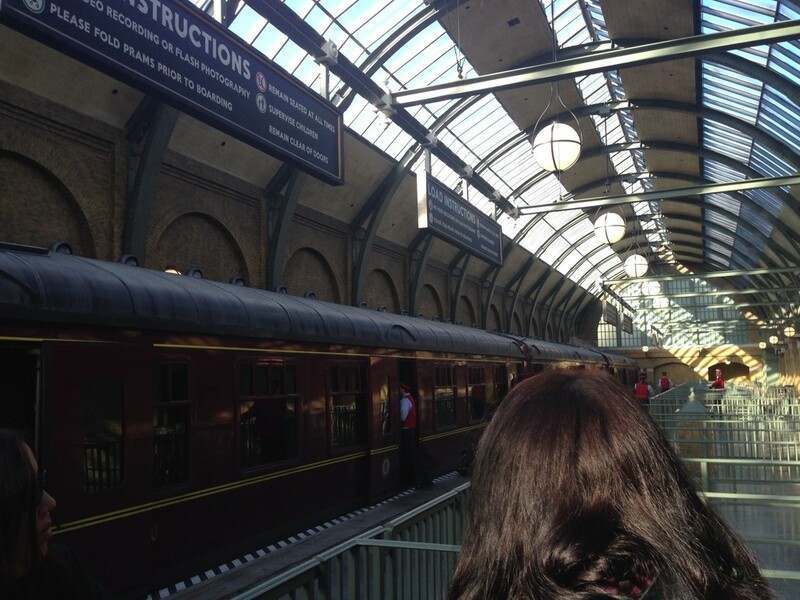 The weekend is full of scheduled events that will bring joy to the hearts of Harry Potter fans of all ages. There are events scheduled Friday, Saturday and Sunday. The weekend has live demonstrations, question and answer sessions with actors from the movies, panel discussions and film screenings. You need a park ticket for admission. There are activities at both parks including chalk art, Harry Potter knowledge challenges, film screenings, scavenger hunts, and more. What are you waiting for? Meet us at Universal! Harry Potter Costume from the Expo in Universal Orlando. Check out the Universal Orlando page for a schedule and updates on events: Celebration of Harry Potter. If you are a Harry Potter fan than the "Celebration of Harry Potter" is a can't miss event. Yes, you can dress up! Recently, I spent the day at SeaWorld's Discovery Cove. It was an amazing experience. We picked a gorgeous day to enjoy the resort. The day was very active - yet relaxing. We soaked up the sun, snorkeled, swam alongside marine animals and enjoyed the endless supply of food and beverages included in price of admission. Here are five reasons why I believe you should consider adding discovery cove to your Orlando itinerary. It is an all inclusive resort. Going on vacation can be a costly affair. Often, you have to pay for your air, hotel and park tickets in advance and you still need to save money for food and incidentals. At Discovery Cove you are provided with breakfast, lunch, snacks, beverages (even alcoholic beverages), snorkeling gear, towels, sunscreen and good service! All you need to bring with you is your flip flops, some beach shoes, sunglasses, beach hat and a change of clothes. Everything else they have covered. It's wonderful. If you add Discovery Cove to your trip that will be one day that you won't have to worry about anything - you may have to pick up dinner because the park closes at 5:30pm. See a sample menu for a day at Discovery Cove. Visit Freshwater Oasis®, an all-new attraction with otters and curious marmosets. Adventure on the not so lazy river on the Wind-Away River. You will go through caves and waterfalls. You can even snorkel and see what cool things are on the bed of the river. See beautiful birds soar and sing in the Explorer's Aviary. Hundreds of colorful birds soar above and around you as you walk. Snorkeling with thousands of tropical fish and rays in The Grand Reef®. This experience was awesome. There were so many fish it was amazing. It was fun swimming over to the sharks, eels and lobsters (they were behind a glass partition). Discovery Cove restricts reservations to 1300 guests per day. This is wonderful because the park will never be overcrowded, but it also means that you will need to get your reservation early during peak season. I really enjoyed the service of the staff. They were friendly and you could tell that they really enjoyed their work. Daily, staff bring out various animals for show, tell and touch. It is great. we were able to see a little owl and an armadillo. It was very cool! Kudos to one staff member Nelson, who went out of his way to help us at breakfast and lunch. He then greeted us when we were leaving. Katherine our cabana attendant was truly amazing as well. Truly superb service was provided at the resort. I have been snorkeling all over the world. Discovery Cove was one of the best. I understand that it is a man-made resort, but having so many marine animals so close to you was amazing. It was an experience I will never forget. I was not able to swim with the dolphins on this trip, but I could tell that people enjoyed the experience. Next time I visit, I also want to do the SeaVenture. 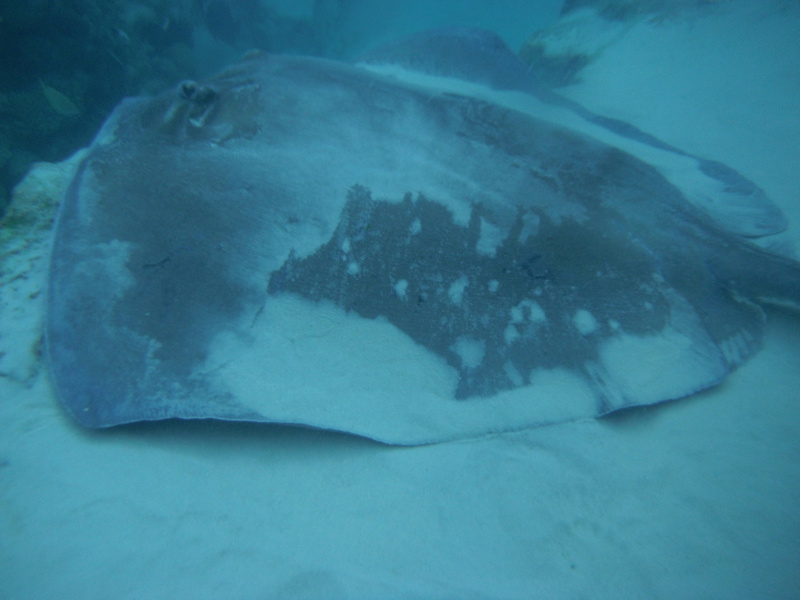 It is an underwater walking tour where you wear a diving helmet and get real up close and personal with marine life. SCUBA certification is not required. Pricing starts at $49 per person. Discovery Cove donates 5% of the proceeds from SeaVenture to the Rising Tide conservation project. This is the first of many posts on Discovery Cove. There is so much more to share about this experience. Take my word, if you add it to your Orlando vacation you will enjoy it and it may be your most memorable vacation memory. Prices for Discovery Cove are $169 for out of state all day passes. 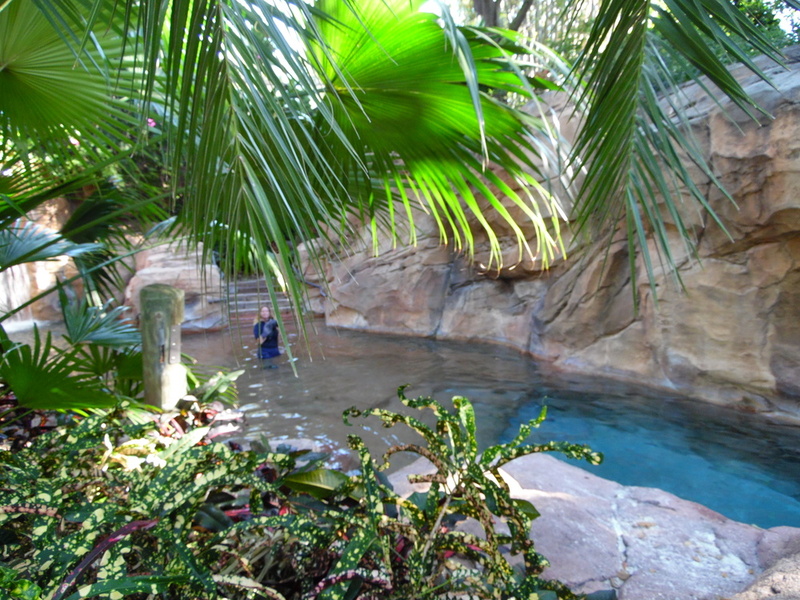 To swim with the dolphins the package price starts at $229 per person (out of state residents). Seaventure begins at $49 add on price. 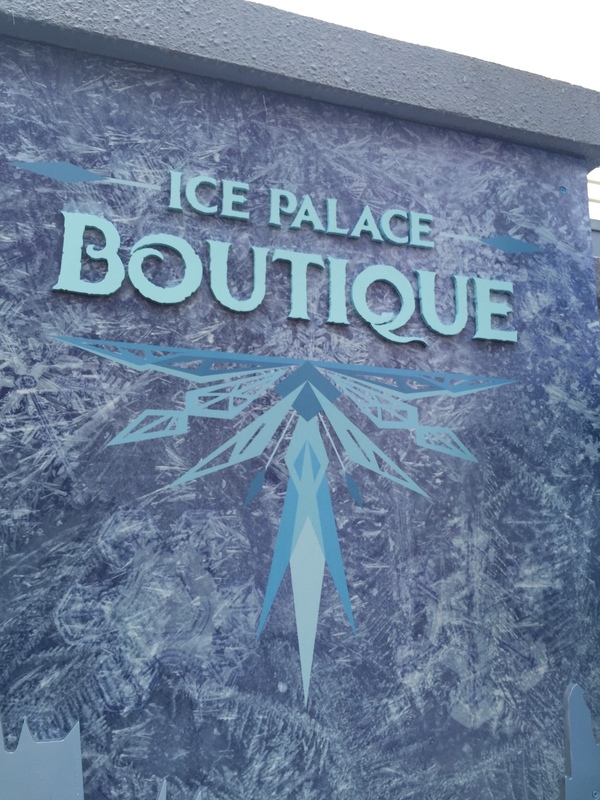 I was given a tour of Disney World's Ice Place Boutique in Hollywood Studios. This is where girls and boys can come to get pampered and made up like their favorite Frozen character. It is great to see the children beautifully adorned like Anna or Elsa. Frozen Summer Fun Boutique Package – This package includes Anna or Elsa-inspired makeup, face gems, nail polish, a braided hair extension with a sparkling snowflake accessory and a photo. Package cost: $75, includes tax. Ice Palace Boutique Package – This package includes the items offered in the Frozen Summer Fun Boutique Package. It also includes access to the Ice Palace Café (where they have gluten free options) and reserved seating at one the production “For the First Time in Forever: A Frozen Sing-Along Celebration”. Package cost: $175, includes tax. Ice Palace Boutique Deluxe Package – This package includes an Anna or Elsa costume plus the items offered in the Ice Palace Boutique Package. Package cost: $240, includes tax. Boy's Package - A Olaf-inspired package includes a glittered hairstyle and a T-Shirt. Package Cost $19.95 plus tax. Please note that only six guests are allowed with the The Ice Palace Boutique Package and the Ice Palace Boutique Deluxe Package. This includes the child receiving the magical transformation. As with the Bibbidi Bobbidi Boutique (which is located in Disney Springs), reservations fill up quick so please call in advance. To book your appointment call 407-827-7400 (you must be 18 or older to make a reservation). Please note that all children's faces are intentionally blocked to protect their identity. Each child is truly glamorous upon completion from their boutique experience. Earlier this week I visited Gatorland and had a truly wonderful and educational time. If you are looking for an affordable and enjoyable outing while in Orlando then Gatorland should be on your list. After arriving on the campus you can quickly get a sense of the friendly nature of the park by the giant teeth at the entrance. It is a great place to take photos to remember your visit. Gatorland was founded in 1949 by Owen Godwin and is the oldest amusement park in Central Florida. Over the years it has grown from 16 acres and expanded into a large complex of 110 acres with a plethora of experiences with gators and other wildlife. The park is unique in the way that the staff interact with guests, they are truly friendly and approachable. They are extremely welcoming and go out of their way to make you feel at home. When you go to Gatorland you should look at the website to find out the show times in advance. There are several shows that offer interesting experiences such as the "Upclose Encounters", the "Gator Jumparoo" and "Gator Wrestlin" shows. Each one offers an opportunity to see gators and other animals in action. The property has a number of enclosures and pens where you can see different types of gators. The photo above was taken in the pen with the gator, his name is "Chester". I had the privilege of entering the pen with the "Dean of Wrestling" Tim Williams. That is the only way I would feel comfortable taking a photo this close. This is a large gator, he is close to 1,200 pounds and he looks menacing! But, with Tim, I felt totally safe. The gator pictured above is a leucistic alligator commonly mistaken for albino. The difference is the leucistic gators have blue eyes while albino gators have pink eyes. Once again I was inside the pen when I took this photo. He is really cool looking but, he can create 1,200 pounds of bite force and kill you! So I was very careful while in his presence! I think the most beautiful and and interesting part of my visit was the breeding marsh. It is a large marsh and river area with a really nice boardwalk that allows you an up-close view of the gators in their natural environment. Along with the marsh area there is a amazing natural area to walk that is completely open, if you see a gator over there he is in the wild! There are also several zip line towers that you can enjoy. They even have a zip line harness for handicapped and wheelchair users. When you visit Orlando Gatorland is a must! If you enjoy nature and are interested in seeing the American Alligator, crocodiles and other exotic animals then this is the place to go. There was so much to do that I have to cover the rest in a future post! Gatorland is great for a family visit and is reasonably priced with a bounty of things to do, see and experience. Now through May 17th you can experience the beauty and great food specials of the Epcot International Flower and Garden Festival. The festival has some beautiful exhibits that cover various types of plants and topiaries. The various exhibits cover everything from dry succulents to everyday garden plants from your backyard. Come out and experience the beauty in the park. Each of the exhibits is meticulously maintained and all the topiaries are living plants. While your out at the festival you can also try the various foods stations that have been set up. The photo below is of a Teriyaki curry bun – Steamed bun filled with chicken, vegetables, curry and sweet sauce and a dessert Frushi – Fresh pineapple, strawberry and melon—rolled with raspberry coconut rice, sprinkled with toasted coconut and served with whipped cream on the side available in Japan at the World Showcase. If you have the opportunity head out to Epcot and check out the Flower and Garden Festival, it is truly worth seeing. Annually, Universal Orlando brings the fun and festivities of New Orleans Mardi Gras to Central Florida. Universal Orlando's Mardi Gras. During weekends in February, March and April, Universal Orlando will host 16 concerts with popular artist like Kelly Clarkson and Trey Songz. During the Mardi Gras Parades Universal Orlando will distribute over 1.8 million beads. Access to Mardi Gras is granted with Universal Studios Admission or Annual Passes. Each event night features zydeco bands from Louisiana. If you love Harry Potter, come out to Universal Orlando January 30-February 1, 2015 for A Celebration of Harry Potter. There is be interviews from celebrities from the Harry Potter movies, special presentations and even a Harry Potter expo! To download the complete Celebration of Harry Potter schedule Click here. Arrive early, because there are usually crowds for this event. Walt Disney World is once again offering a discount for park tickets to Florida residents. Right now Disney is offering Florida residents a three park ticket for$139. The tickets are called "Discover Disney" tickets. The tickets can be upgraded to hopper tickets for $24.50 per ticket (This allows a ticket holder to move between parks during the same day).The regular price for a 3 park ticket is $274 per ticket. Florida residents will also be able to get a deal on 4 day tickets for $159. There are a couple of caveats with the tickets, first there are blackout dates for Magic Kingdom from March 30 to April 9, 2015. Secondly, the tickets must be used by June 4, 2015. To purchase tickets you must show proof of Florida residency. If you are Florida resident this is a great way to check out Walt Disney World and everything it has to offer. We are only a few hours away from 2015. If you don't have plans, it's not too late to make some. Orlando is a great city with a lot to do. First and foremost, it is important to be safe. If you are going out, make sure you go out with family or friends and use taxi service like Uber or Metro Cars if needed. AAA also offers a service called Tow To Go that offers a free and confidential local ride for AAA members and non members until 6:00 AM January 1st. free and confidential. Here are four things you can do to bring in the new year. a. The Four Seasons Orlando. See our blog post about this new hotel. b. The Hyatt Regency Orlando on International Drive. See our blog post about this hotel. 2. Go to church. Churches around town will have a mass service or a New Year's Eve celebration. It's a great way to get a positive message before the new year. Our church, Dream Life Center, has a New Year's Celebration. Here is the invitation. There is the Aloft hotel, which always has activities. A ton of restaurants and clubs. Also this year Billy Joel will be performing at the Amway Center tonight at 9:30 PM. Get tickets through Ticketmaster. Islands of Adventure closes at 11:00pm on New Years Eve. Universal Orlando closes at 12:30am. There is a laser show and fireworks at Universal. You can even enjoy Universal CityWalk. There is a big countdown and fun. CityWalk offers a number of nightclubs and bars. Most have a cover charge. The Magic Kingdom, Epcot and Hollywood Studios are all open until or past midnight. 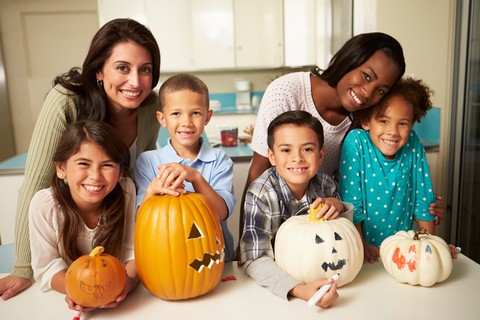 There will be family friendly parties, fireworks and festivities to help you bring in the new year magically. You can also go to Downtown Disney. There are restaurants and night clubs there as well. Whatever you do be safe and have fun. 1. The Theme Parks. 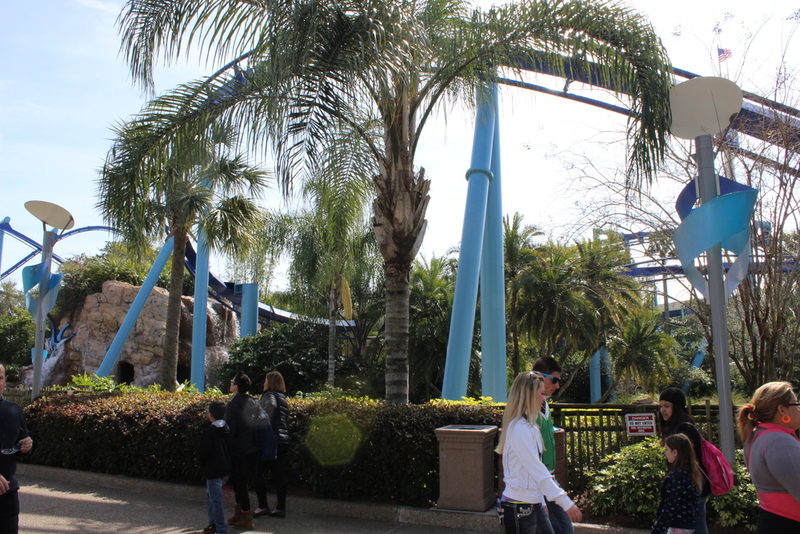 I love the large parks Walt Disney World, Universal Orlando, SeaWorld. They are always coming up with something new. I also love parks like The Holy Land Experience, Fun Spot, Gatorland, WonderWorks and Ripley's Believe It or Not! They all can add to a family's amusement. 2. The accessibility to the Beaches. The great thing about Orlando is that you can be consumed with the Theme Parks, but you can also take a short drive to the beaches. There are great beaches to the east (including Cocoa Beach, New Smyrna, Melbourne or Daytona). To the west you have the beautiful beaches of Clearwater, Siesta Key, Caladesi Island State Park just to name a few. With beautiful sand and breathtaking views, what's not to love? 3. The Shopping. Let me just say that people come from all over the world to shop in Orlando. The shopping is not just good, it is great! I love the malls (The Florida Mall and Mall at Millenia). I also love the outlet malls (Premium outlet mall on International Drive and Apopka Vineland are great). There are so many other shopping areas, you just need to get our guide. 4. The Food. I love the local restaurants you can find in communities like Mills 50 (Downtown Orlando) and Winter Park. You can also dine lavishly on Restaurant Row (Sand Lake Road), where you can find most cuisines. Let me also mention the food at the theme parks are amazing. Finally, check out the food tracks throughout the city. My friend, Jackie Wilson, just opened her first food truck, Eat My Treat. Visit her website and find out where she will be next. You must try her desserts. They are amazing. 5. The people. Disney is known for its outstanding service, but there is something energizing about the people from Orlando. Every where I go I am shocked by the hospitality, sevice and friendliness. I hope these five things made you apprciate Orlando as much as we do. Universal has started construction on it's fifth hotel which will open up in summer 2016, Sapphire Falls. The new hotel will add another 1,000 hotel rooms to the Universal properties. The hotel will have a Caribbean theme with a colorful lagoon and waterfall. The hotel will be operated by Loews and will be a resort property with with leisure amenities such as a large resort pool, children's play area, beach area, full service restaurant, outdoor fire pit and over 130,000 square feet of meeting space. Sapphire Falls will be connected to the parks by shuttle and water taxi along with a pedestrian bridge to Universal City Walk area. Like the other four hotels on Universal property guests will be able to access the parks earlier than other park visitors. The hotel will begin taking reservations in Spring 2015. Stay tuned for updates and information as construction progresses! This month SeaWorld unveiled its new app. Just like the other theme parks in Orlando, using the app will enhance your visit. Here are some of the things we love about the app. Integrate your park tickets and show passes into your account. You can also purchase tickets right from the app. Get updated on the latest park news and deals. Take pictures and have them in digital SeaWorld frames. Pretty cool. Car finder to help you remember where you parked. Ingenious! In the park features like ride wait times and walking paths. Play games! Currently, SeaWorld is celebrating their 50th anniversary so you can collect badges from different places in the park and win cool prizes. The Seaworld App is free for the iPhone and on Android devices. If you are visiting Orlando and stopping at Hollywood Studios you should check out “Star Wars Weekends.” It is big fun for the whole family! Let you inner Star Wars fan come out! Every weekend from May 16 thru June 15 you can experience Star Wars Weekends! Meet actors and characters from the Star Wars Universe like Mark Hamill June 6 – 8 (Luke Skywalker Episode IV, V and VI)! You will also have the opportunity to purchase limited edition merchandise and have fun interactions with characters like the Boba Fett or a patrol of Storm Troopers! If you have children under 12 they can participate in the Jedi Training Academy. If you are visiting the Orlando area Star Wars Weekends are a great way to spend your vacation or weekend!